When will be Zig and Zag next episode air date? Is Zig and Zag renewed or cancelled? 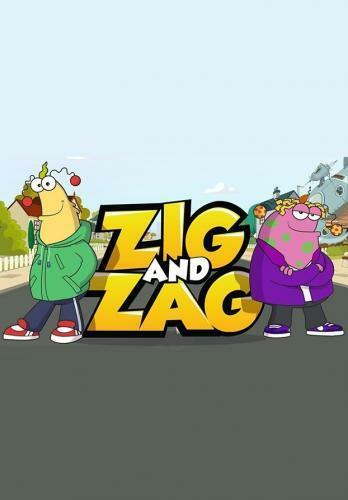 Where to countdown Zig and Zag air dates? Is Zig and Zag worth watching? Zig and Zag are alien twin teen brothers from the Planet Zog. One day they were out flying around in their spaceship when they get sucked into a random black hole (it happens!) and end up crash landing in the suburbs on a strange green and blue planet called Earth. With their craft beyond repair, the brothers decide the only thing to do is plant a porch on the front of their shiny metal spaceship and called it ‘home'.Join our inseparable extra-terrestrial brothers on a series of fun adventures creating all manner of mayhem as they make the most of what this cool new planet has to offer. With death-defying stunts, crazy inventions and banana and mackerel smoothies!Life in the suburbs will never be the same for friend Nellie from the corner shop and neighbours Mrs Eyebrows and her invisible cat Mr President, Mr and Mrs Jones and their creepy staring twins Brie and Stilton, the uber-competitive neighbours Abs and Pek Von Pumpiniron, and not forgetting the Secret Agents: Agent A Gent and Agent Honey, tasked with keeping an eye on the alien visitors. Animated adventures of two aliens on Earth. Zig and Zag think the way to fame is through your own celebrity scent. However, Eau de Alien has a little too much animal attraction. Zig and Zag stage their own haunting in a bid to get their video onto their favourite TV show Ghost Hunters Live, If They Weren't Dead 5. In an attempt to raise enough cash to eat at the fanciest restaurant in Burbia, Zig and Zag set up their own fancy restaurant. Zig and Zag report to Planet Zog about books and their uses on Earth. They are great for cooling you down when you've a sweaty face, super for building a brother-proof fort and full of words, stories and adventures. Zig and Zag next episode air date provides TVMaze for you. EpisoDate.com is your TV show guide to Countdown Zig and Zag Episode Air Dates and to stay in touch with Zig and Zag next episode Air Date and your others favorite TV Shows. Add the shows you like to a "Watchlist" and let the site take it from there.